We had an amazing time! My husband and I visited several off the path shops that made our visit feel less touristy. 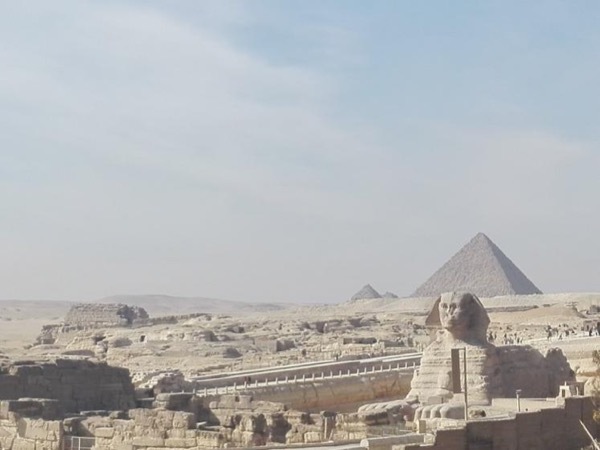 Adel invited us to view the Pyramids and Sphinx from the deck of the inn that he owns. I will absolutely be requesting him again when I return with my sister's and our children. He's very cordial and I felt very comfortable the entire time. TOUR GUIDE RESPONSE: Happy to hear back from you and thank you for your nice words about me. I'm here always ready to make your family happy and it was my pleasure to meet and arrange your short visit to my lovely Egypt and my INN. See you soon . Adel.